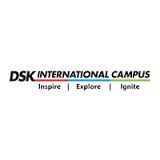 Established in 2007, DSK International Campus (DSKIC) is an International Design Institute located in Pune, India. The State-of-the-Art residential institute provides highly industry centric, professional courses in Industrial Design, Product Design, Transportation Design, Animation, Video Game, Fashion Design, Interior Design and Communication & Graphic Design. DSKIC bridges the gap between industry expectations and the education provided to thereby create industry ready designers. DSKIC conducts its own entrance exam in two phases. Only the applicants who have cleared Phase I will be considered for Phase II. The campus is set on a sprawling 20 acre landscape equipped with world-class infrastructure like nowhere else in India. The DSKIC provide latest machinery, RPM, latest hardware like Wacom Cintiq to mention a few. The campus boasts of the best facilities one would have to make their stay comfortable. While the trainers bring out the best in our students, we ensure that they have all the tools they need to lead change.